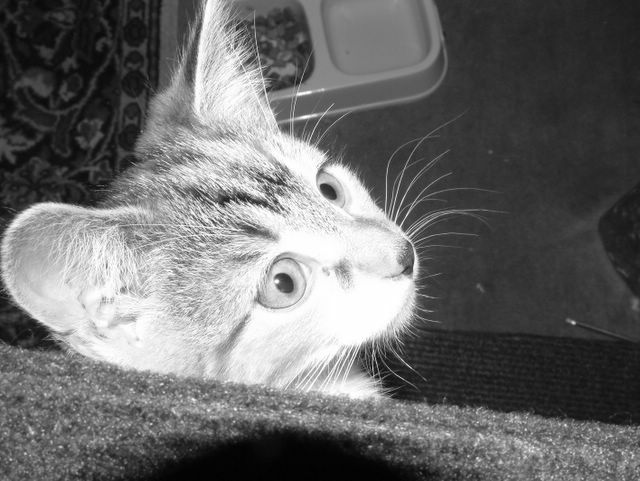 First of all let me introduce you to Poppy yes after much discussion and me putting my foot down about 'Buffy' (no offence to buffy fans but just have visions of it dating very quickly) and they weren't keen on Fang, Tang, Shivra or Mfanwey we settled on Poppy. As Jill had noticed from the phot she is a bit of a huntress so no introductions to either my hamsters or my wool stash can you imagine it. 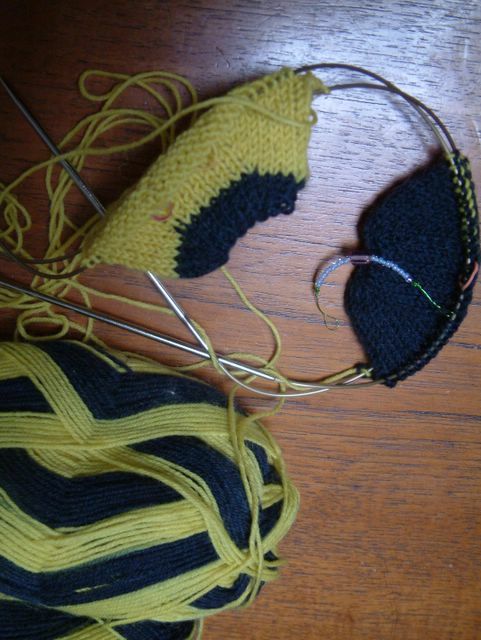 Back to knitting news, I weave the ends of my two socks in so will be wearing a pair of them tomorrow night. 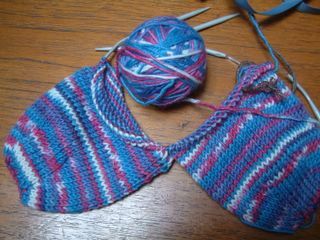 My self patterning socks are growing slowly and a pattern is definitely appearing. Unfortunately the others at the studios have seen me knitting socks so I spent half an hour this afternoon measuring feet and have just cast on Dan's socks I thought he would suit the bumble bee sock and if he doesn't like them his little girl can have them for dress up, these are to be followed by a pair for Kim. 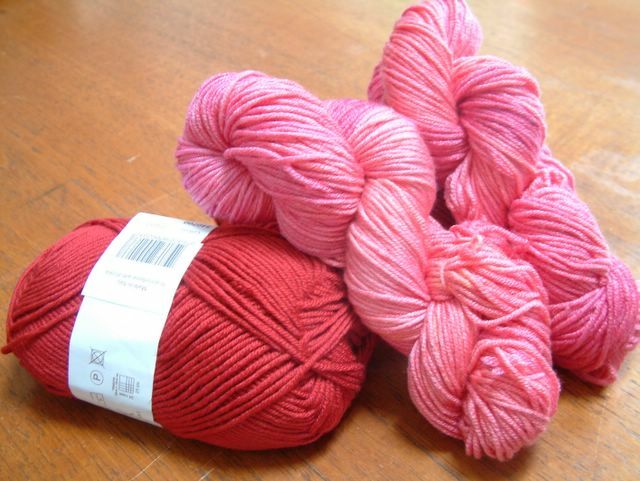 I got a nice parcel from Get Knitted this morning of Debbie Bliss' Red Baby Cashmerino to go with my hand dyed pink varigated for a pair of striped socks for me. Just had a thought I think maybe reading Polly's blog has had an effect on Poppy's name, its only taken me four hours to realise this honestly. Poppy is going to have such fun with all that yarn and don't show her the bunnies please! I like 'fang'! but poppy is great too. Now you have a cat as well as yarn and access do a dye room and great knitting skills....so unfair! If only Pooch waasn't allergic. Can you get cat repellant for stash's?